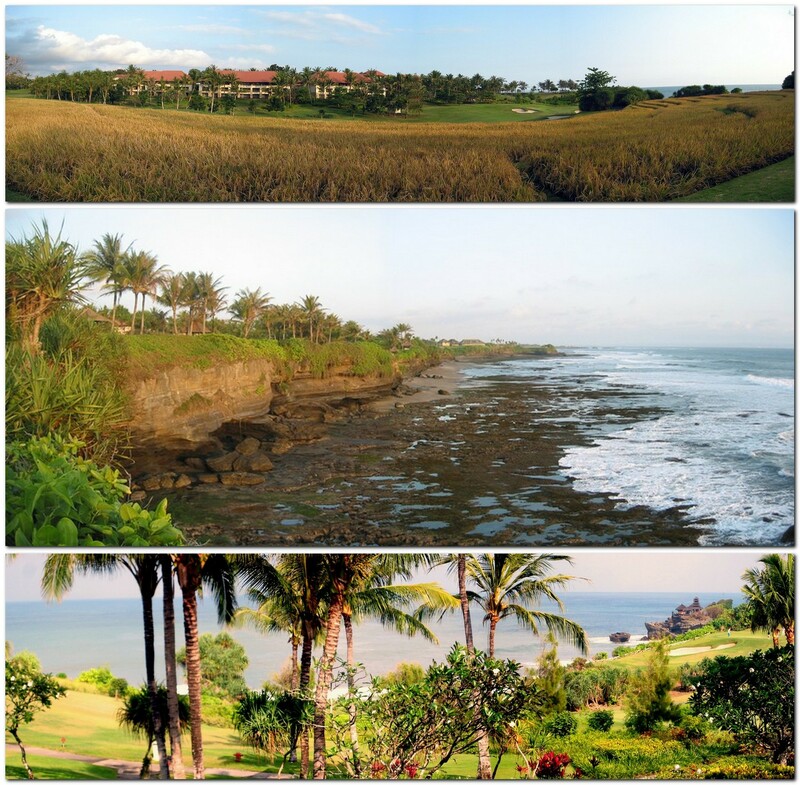 rice terraces | A balanced diet . . .
Sky-high paddies . . .
No, this is not about inebriated Irishmen. It’s a celebration of the ingenuity of human agricultural innovation in northern Luzon in the Philippines where, over the course of several centuries, local indigenous communities tamed the steep valleys to grow paddy rice in irrigated fields high in the mountains (about 1500 m above sea level) and, employing a sophisticated hydrology, to supply water to the terraces and drain them before harvest: the rice terraces of the Philippines Cordilleras, which received UNESCO World Heritage designation in 1995. In March 2009, Steph and me, along with my staff in the Program Planning & Communications (DPPC) office at IRRI—Corinta, Zeny, Yeyet, Vel, and Eric—made a five day, 1000 km trip (see map) north to Ifugao and Mountain Provinces to see these world famous terraces. 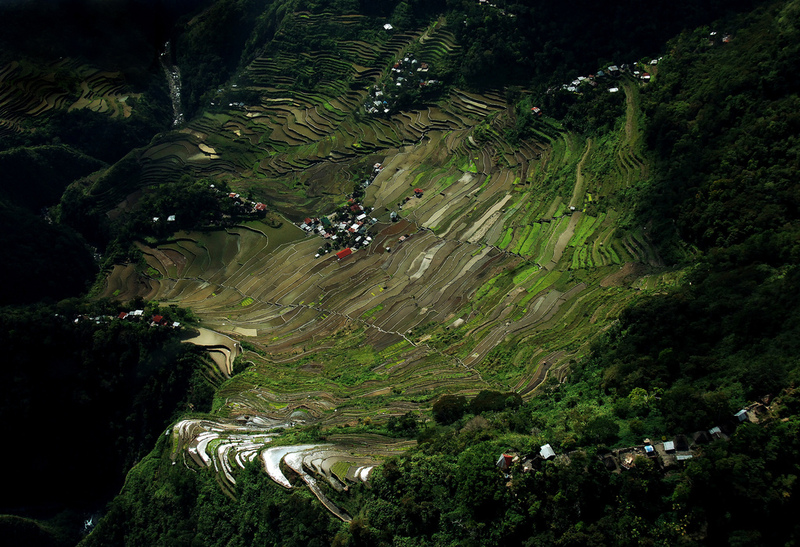 There is a cluster of five sets of terraces designated under UNESCO, all in Ifugao Province. 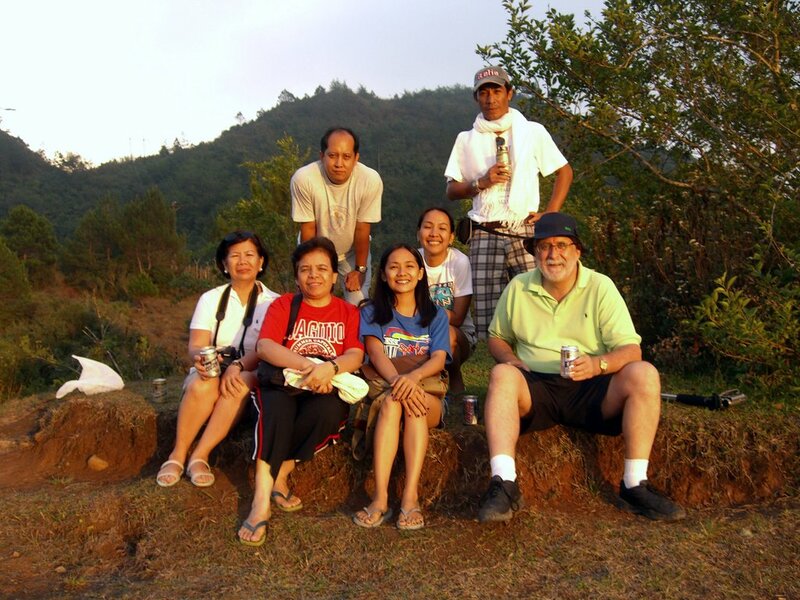 L to R: Corinta, Zeny, Rolly (IRRI driver), Vel, Yeyet, Eric, and me – enjoying a San Miguel sundowner near Sagada, Mountain Province. We knew it would be a day-long journey from Los Baños to Banaue. Although the first part of the journey to the Science City of Muñoz in Nueva Ecija Province took in divided highways, there were two main ‘obstacles’ in our path. First we had to cross the length of Manila from the South Luzon Expressway (SLEX) to the north one (NLEX), a part of the journey fraught with delays and congestion if you hit the traffic at the wrong time. I guess we didn’t fair to badly. Then, once off the main highways, there’s the ever-present frustration of following jeepneys and tricycles that potter along at their own speeds, oblivious to other road users, and which stop continually to pick up and drop off passengers. So even a short journey on a single carriageway road can take forever (or so it seems). In Muñoz, we visited and had lunch at the Philippine Rice Research Institute (PhilRice) which is the country’s leading research organization on rice, and IRRI’s principal partner for all-things-rice in the Philippines. After a courtesy visit with the PhilRice Executive Director, we toured several laboratories, and the rice genebank that collaborates closely with the International Rice Genebank at IRRI. In fact, IRRI holds a duplicate sample of much of the PhilRice collection. From PhilRice it was a long climb of several hours into the mountains, and we arrived to our hotel in Banaue just as the sun was setting. It was an early start the next morning, because we visited the impressive rice terraces at Batad, more than an hour from Banaue by jeepney, and then another couple of hours downhill on foot to reach one of the villages from where there is an impressive vista over the amphitheater of terraces stretched across the hillside. The rice terraces at Batad. In 2006, Biggs Javellana, one of IRRI’s photographers at that time, flew over over Ifugao and took a superb collection of aerial photographs. The rice terraces at Batad from the air. The photograph above was taken from the cluster of houses at center top in this photo. In 2008, one of the main articles in Rice Today featured Biggs’ photos, and other older ones taken by eminent anthropologist Harold Conklin, Crosby Professor Emeritus of Anthropology at Yale University, who had studied the Ifugao for many decades. Just click on the Rice Today cover below to read the article. You can also browse the original photos (and others) here. I wasn’t too concerned about the hike to the Batad terraces from the parking area, although it was a long way down. I was more concerned about the climb back up. But having gone all that distance I wasn’t going to miss out, and with encouragement from Steph and everyone else (and a few helpful shoulders to lean on occasionally) I made it down and up again. And it was certainly worth the effort. On the north side of Banaue, on our way to Sagada, Mountain Province on the third day of our trip, we stopped to look back down the valley, and admire the beauty of sky reflected in the flooded rice terraces, recently planted with young seedlings. There really is a majesty in rice agriculture under these circumstances. Looking south towards Banaue town center. A vista over Banaue in the early morning mist. Along the route to Sagada there are other rice terraces, at Bay-Yo Barangay near Bontoc in Mountain Province, and just south of Bontoc itself. Sagada is surrounded by quite extensive terraces. There’s lot to see in Sagada, including weaving for which the town is famous. And the indigenous ‘hanging burials’ with coffins left on the sides of limestone cliffs, or piled up in the many caves that dot the landscape. Hanging coffins near the bottom of the cliff. Coffins piled up in a cave. The return journey to Los Baños took 17 hours, including comfort stops on the way, lunch in Baguio and dinner near Manila. I think we were all relieved to be back home, but very contented that we had made the trip. It took Steph and me 18 years almost before we actually made the effort. But what is also special about the rice terraces of Ifugao (and the other sites) is that they are still farmed in the same way, and the communities still practice many of the same rice ceremonies and rituals they have for generations. 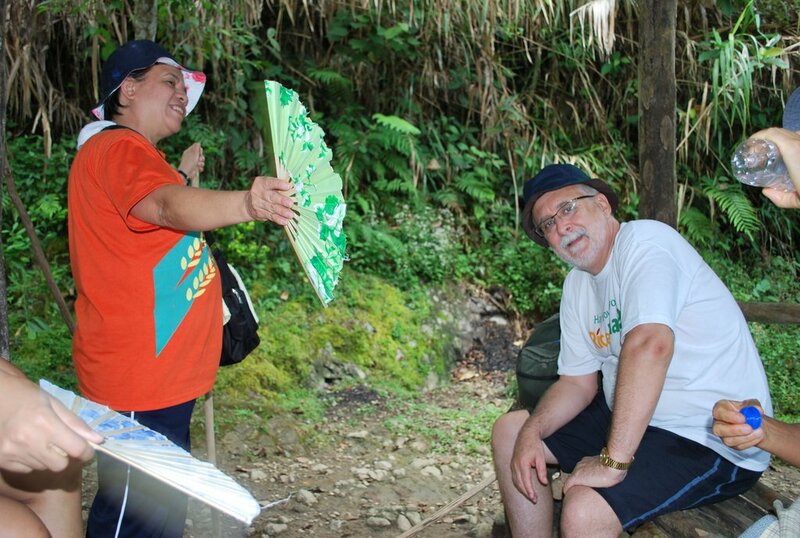 But rather than me try to explain what this is all about, I will leave it to Aurora (wife of my good friend and former IRRI colleague Gene Hettel) who hails from Banaue and is a proud member of the Ifugao community, to explain in her own words in this video (made by Gene). 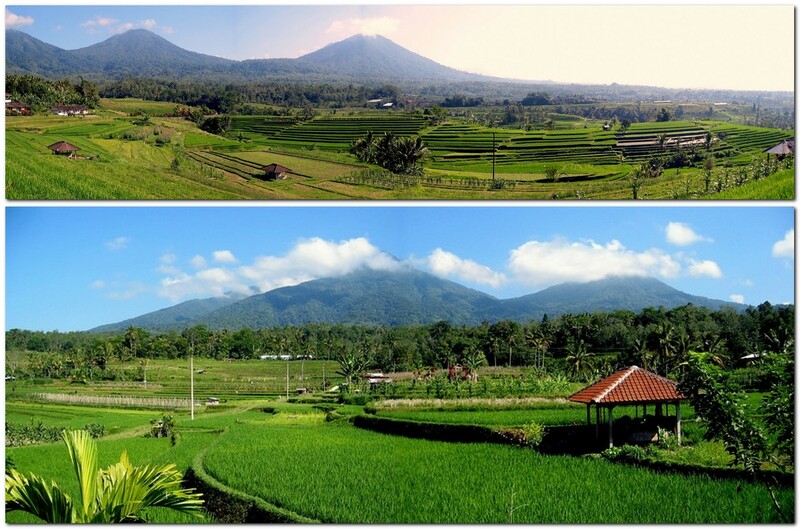 The farmers also plant traditional rice varieties that they have also cherished for generations. With the pressures of modern agricultural technologies and new varieties, there is always a danger that these varieties will be lost, notwithstanding that they are safely conserved in the PhilRice and IRRI genebanks (and duplicated in the Svalbard Global Seed Vault). If the farmers stop growing them these rice varieties will disappear from everyday agriculture. They have to make a living, and although most varieties are grown for home use, there has recently been an effort to bring them to a wider rice-consuming public. With the Philippine Department of Agriculture, IRRI has initiated an heirloom rice project that aims ‘to enhance the productivity and enrich the legacy of heirloom or traditional rice through empowered communities in unfavorable rice-based ecosystems.’ Details of the project can be found here.